The Forever Living Essential Oil blends are each made up of several carefully selected oils for maximum results. Gathered from the best sources throughout the world, each note is scientifically selected and blended for the highest potency and efficacy combination. Forever™ Essential Oils Defense is from carefully selected pure botanical oils gathered from the best sources throughout the world, including India, Nepal, Somalia, The United States, Madagascar and Hungary. 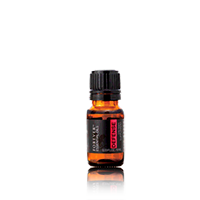 Forever™ Essential Oils Defense - 100% Pure. 100% Strong.